IHI Shibaura was founded in 1950 by two companies, Toshiba (Tokyo-Shibaura-Engineering) and IHI (Ishikawajima Harima Industries). The company originally began as a manufacturer of light and heavy engines. Only in 1961 they completed a tractor factory for manufacturing tractors up to 40 hp, in 2-wheel and 4-wheel versions. In 1978 the first series of tractors over 50 hp were brought into production. IHI Shibaura is still a relatively young company and has grown very quickly compared to European standards. At this moment the production takes place in three factories. The tractor factory in Matsumoto covers an area of about 14 acres. ln Okayama Saidaiji is a factory covering an area of about 2 acres, where they manufacture ozone equipment. 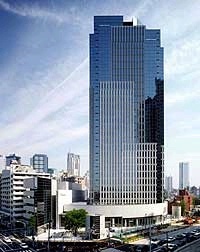 The Shibaura head office is located in Tokyo. IHI Shibaura is now fully owned by the IHI group. IHI is a leading Japanese company in the fields of aviation, jet engines, power stations, bridge construction, industrial machines and shipbuilding. Through the years, IHI Shibaura has built a reputation as a manufacturer of pure quality products and as an important global brand in the field of professional lawn-, park- and sportfield machines. - a complete programme of Shibaura engines (for industry, shipping and machines). For more information we would like to refer you to the extensive information that is available for each model. In order to be able to deliver a good service to the customer, Shibaura Europe B.V. was founded in April 1991. Shibaura Europe B.V. works in cooperation with specialized dealers who sell Shibaura products. This dealer network handles the sales of all Shibaura products to the end user. In this way you will get the best advice, the best product, as well as optimum service and parts supply. In order to be able to serve the customer even better, Shibaura Deutschland GmbH in Wiehl was started on 1 Jan 2008. Here our employees are 100% concerned with the products of Shibaura and the customers are served with the best service. We hope that this website gives you an overview of our Shibaura products. We are happy to send you further information. Of course, you are very welcome at our site on the industrial estate Bemmel-Huissen.